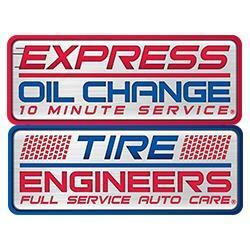 Express Oil Change & Tire Engineers is one of the leading automotive service providers in the South with over 200 locations across thirteen states. Throughout our 34-year history, our oil change process has been refined to give our customers the quickest oil change around while still providing the highest quality service and premium vehicle maintenance checks. Each and every Express Oil Change & Tire Engineers houses a full-service automotive mechanical department staffed by experienced technicians. Our ASE-certified technicians provide total car care through the use of state-of-the-art equipment and premium parts.